State initiative matches donations from Michael and Eugenia Brin and Elizabeth Stevinson Iribe to establish endowed chairs in mathematics and computer science. The awards recognized distinguished performance in: mentoring; scholarship, research, or creative activity; and public service. Levy joined the department as an associate professor in 2007, was promoted to professor in 2011 and served as the associate chair for undergraduate studies from 2012 to 2106 and again since 2018. 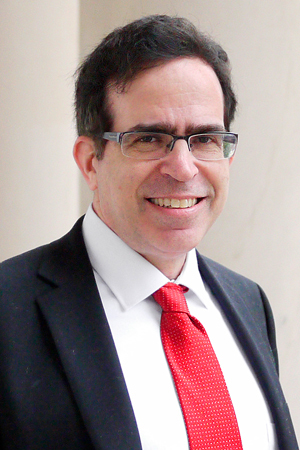 In addition, Levy holds a joint appointment in the Center for Scientific Computation and Mathematical Modeling. After earning his bachelor’s degree in mathematics and physics from Tel-Aviv University in 1991, Levy received both his master’s degree and Ph.D. in applied mathematics from Tel-Aviv University in 1994 and 1997, respectively. Levy’s research focuses on biomedical applications of mathematics with a particular interest in cancer dynamics, drug resistance, immunology, imaging and cell motility. He is a member of the Maryland Biophysics Graduate Program and the Applied Mathematics, Statistics, and Scientific Computation Graduate Program, and he serves as the co-director of the NCI-UMD Partnership for Integrative Cancer Research. An active leader in the mathematics community, Levy serves on the board of governors for the Institute for Mathematics and its Applications and the board of directors for the Society for Mathematical Biology. Among his many distinctions, Levy was named a 2017-2018 fellow in the Big Ten Academic Leadership Program, a Pauli Fellow of the Wolfgang Pauli Institute in Vienna and a fellow of the John Simon Guggenheim Memorial Foundation. In 2013, he was named a UMD Distinguished Scholar-Teacher. "The math department has always played a central role in the research, education and outreach missions of our institution,” Levy said. “I would like to thank Dean Varshney for the opportunity to serve as the interim chair of the math department. I am looking forward to working together with him and with the faculty, staff, and students on further improving our department, CMNS, and the University of Maryland." During his sabbatical year, Wolpert, who has been department chair since 2013, will be writing; attending a mathematical research program in Berkeley, California; and continuing his contemplations on hyperbolic geometry and Riemann surfaces.